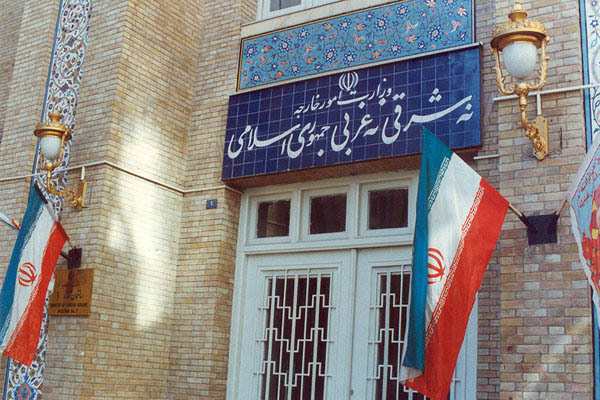 Iranian Foreign Ministry’s Spokesman Bahram Qassemi says Swiss Ambassador to Tehran has been summoned over the US detention of the Press TV’s Journalist Marzieh Hashemi. In a Tuesday statement, Qassemi said due to the prolonged detention of the Iranian citizen and Press TV’s journalist in a US jail, Iranian Foreign Ministry has summoned the Swiss ambassador (US Interest Section) and the Islamic Republic’s stong protest to the US illegal detention of Ms. Hashemi was conveyed to him by the Director General of Foreign Ministry for the Americas, Mohammad Keshavarz-Zadeh. “The Iranian diplomat also called for the immediate and unconditional release of the Iranian journalist,” he said. The spokesman also said during the meeting, it was underlined by the Iranian side that the treatment given by the FBI officers and the suspicious silence of the related governmental officials towards Ms Hashemi’s detention violates all the international commitments of the US government and serves as a stark violation of the Press TV journalist’s human rights and basic rights. “Such discriminatory moves and violation of human rights by the US government have international consequences for Washington and it should be held accountable for them,” he said. This is 11 days into the detention of Press TV’s journalist in the US jail. She is now set to appear before a US court as a witness for the third time since her arrest by American authorities. Hashemi’s children say a 23-member grand jury will decide about their mother’s case during Wednesday’s session. They have also called for challenging the constitutionality of US laws which lead to the detention of people who have done nothing wrong.